Here's a splendid third full-length from Nebraskan indie-ists Tilly And The Wall, and it gets off to a great start: vocalists Neely and Kianna harmonise beautifully on opening track 'Tall Tall Grass', which for the most part keeps everything pared down and simple, combining plaintive yet absolutely memorable piano and acoustic guitar passages, before erupting into a well-judged noise and feedback solo. 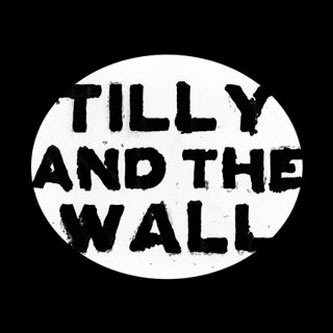 Next comes some classic Tilly And The Wall stomping on 'Pot Kettle Black', whose marching rhythm was recorded in an Omaha school gym with ten people stomping about the place. By now, the initial novelty of the whole tap-dancer-instead-of-drummer business has largely worn off, meaning that the clickety-clack polyrhythms on tracks like 'Chandelier Lake' can be appreciated for the smart percussive backdrops they really are, without anyone getting too hung up on the Gene Kelly factor. Even if the songs weren't as strong as they are, you get the impression that this album would still charm you on the strength of how lively and well-crafted the arrangements are. Those layered vocals could not be sweeter, and everything sounds so collaborative and just generally brimming with activity that it's hard not to get embroiled in the excitement yourself.